'BLOOD OF THE MANTA' part two! After learning he's the son of the villainous Black Manta, Jackson Hyde is forced to join his father on a journey to find the ocean's greatest treasure-a game-changing weapon that would spell disaster for anyone in Manta's way. Meanwhile, Damian's status as team leader is challenged by Starfire, who recruits Tempest to help track down their missing member! 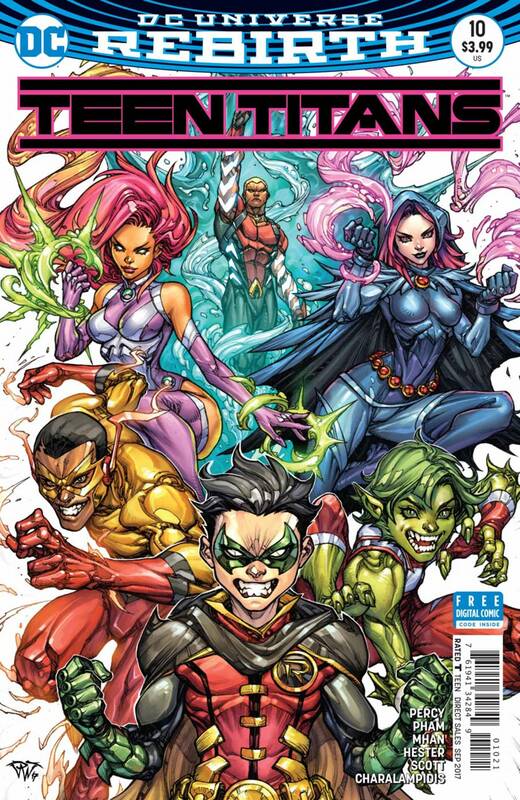 Will the Teen Titans find their friend before Black Manta gains ultimate power?